Stairs. You walk up them every day, but do you ever think, what do they really mean? After interviewing John Joy ‘18, I can confirm that 100% of the population is not quite sure what stairs are. 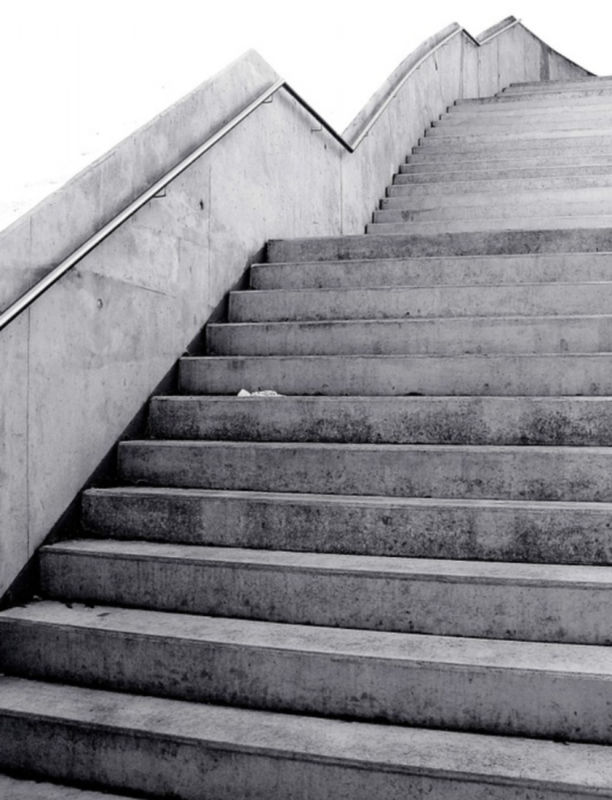 Many people prefer ramps to stairs because, as junior Marlo Bryant says, “you can do somersaults up and down ramps but not up and down stairs.” Many believe that stairs discriminate against the handicapped and sharpen the divide between the handicapped and the fully capable people. Junior John Blang says, “It is truly an outrage that handicapped people are expected to climb stairs…I demand that all staircases be paved over to give the handicapped a way up.” Other juniors had similar thoughts on stairs, such as Sam Schwartz, who said that “Stairs are singlehandedly the worst thing to happen to the United States in the 21st century.” This type of negative feedback reflects the impact stairs have had on modern society. Some people, like AP U.S. History teacher Dr. Tyrell and Sarah Jarrell ’18 are so jaded by this topic, that they refused to comment. Stairs were invented in 6000 BC, and really haven’t evolved ever since (excluding, of course, the revolutionary escalator.) I believe today there is a chance to change the world as we know it: inventing stairs with cup holders. When just pondering the excellence of mechanized staircases, junior Jack Gardner commented: “Wow, things escalate quickly.” It is these kinds of thoughts that prompt me to think about how I can change the world and hopefully one day influence the minds of high school juniors everywhere. Although this article has been mostly about the negative stigma surrounding stairs, some, such as junior Sachi Bhati, believe that stairs are a great contributor to society. Bhati says, “Stairs are really helpful for getting to higher places.” This proves that during a stair-related dark age, there are still some people that believe in hope for the future of stair-kind. In summary, people are frustrated with the lack of change among stairs and staircases in recent years. Some students, left anonymous for their protection, have begun to rebel against the oppressive stairs and started to take the elevator instead.